Paint your base with a rose gold polish and allow it to dry. Next use a blue glitter polish or any polish of your choice and create a large circle. With a nail art brush, use the curvature of your cuticle as a guide and create a outline of the circle. Use either the polish brush and nail art brush to fill it in. 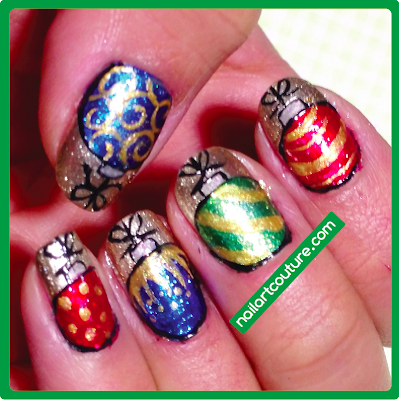 Again with a clean nail art brush, create a little silver rectangle for the top of the ornament. Using black polish outline the ornament and top. Then create a straight line to connect to the top and draw a small bow to finish the look. With a yellow gold polish, create a pattern within the ornament. Feel free to find images online for inspiration! 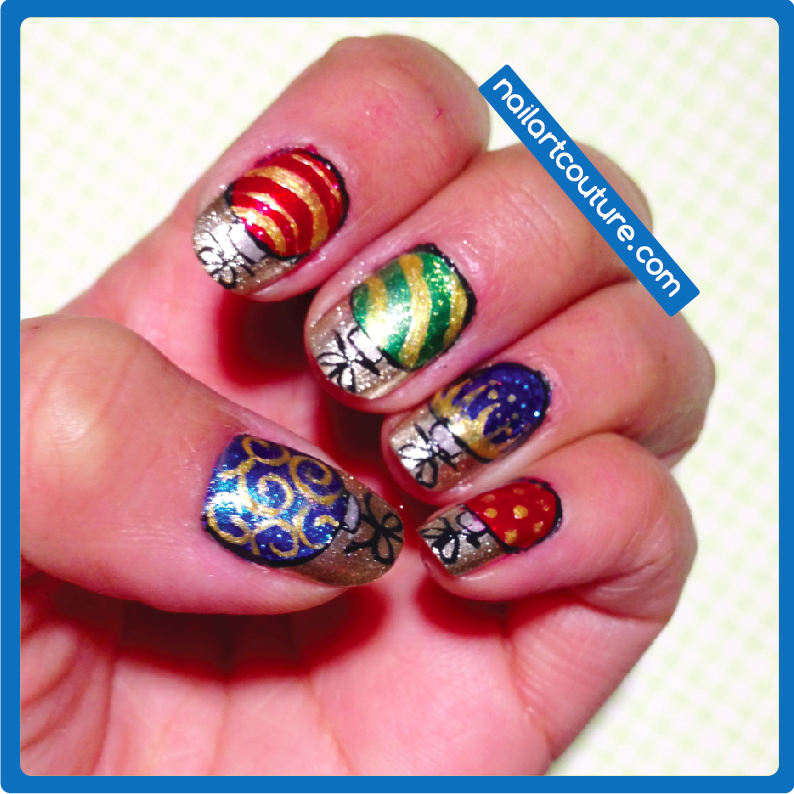 There you go, a very simple nail art using some of the featured polish in December's Julep Maven box. I love it! The polishes are so pretty. This is so lovely and eye catching. How did you get this idea? It is an incredible nail art.